By Brian Hoey. Jan 26, 2017. 9:00 AM. 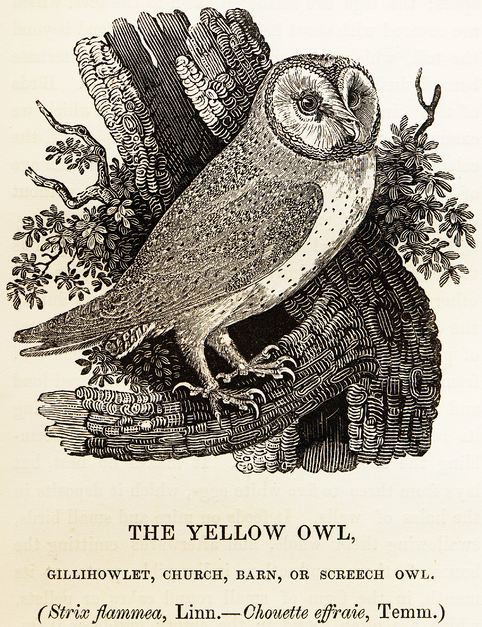 Perhaps Bewick’s best remembered work is A History of British Birds (1797, 1804) for which he was both a primary author and the engraver. Essentially a layman’s field guide, the work is known as much for its tail-pieces (illustrations added to fill space between entries) as its illustrations of birds. The work caused a huge stir when it was first published and is even featured in Charlotte Brontë’s Jane Eyre (1847). 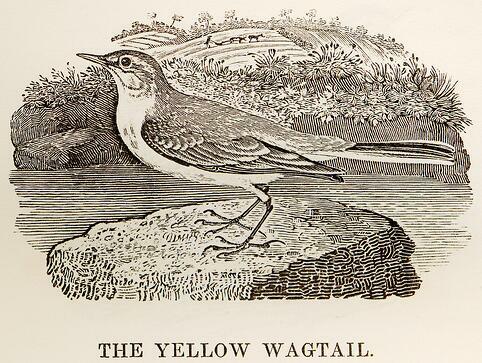 Note the plowboy behind the Yellow Wagtail in the image directly above; this was the type of detail for which Bewick was renowned, and which figures most prominently in his tail-pieces. For example, a bird tracking muddy footprints across freshly laundered clothes (see directly below), or the runaway cart full of children whose wheel can be seen to be gaining speed. 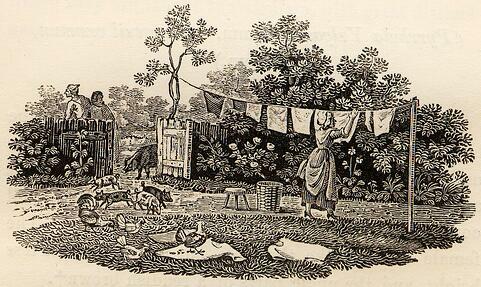 As printed, the latter engraving (see the second image directly below) is only eight centimeters wide. 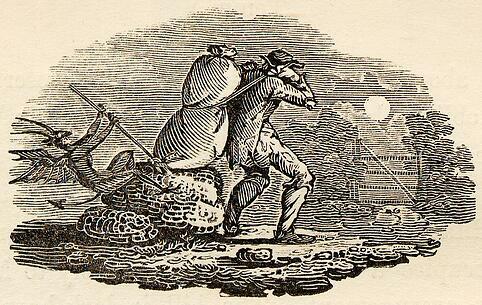 Brontë, for her part, took particular notice of this next engraving, which depicts a thief being harangued by a demon. Her narrator in Jane Eyre describes being particularly frightened by it. 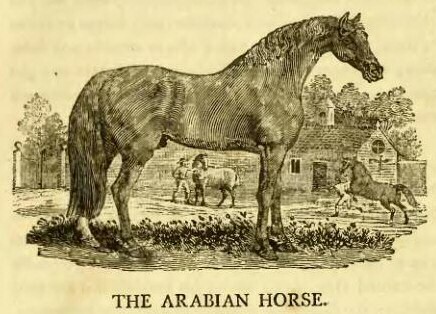 Perhaps his most famous work beyond A History of British Birds were the illustrations of Aesop's Fables that he published at several points throughout his life beginning in 1776. 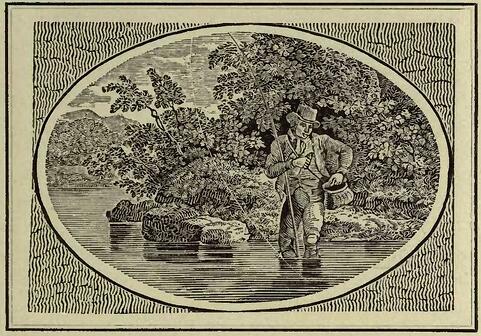 From those editions we have this famous engraving of 'The Angler and the Little Fish'. As well as an illustration for 'The Fox and the Bramble'. 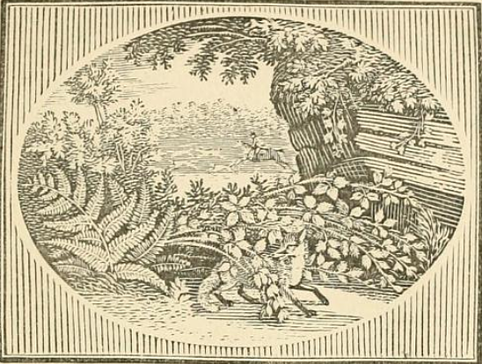 Of course, Bewick was a prolific engraver not just when it came time to furnish his own work with illustrations, but in the service of a number of his contemporaries. 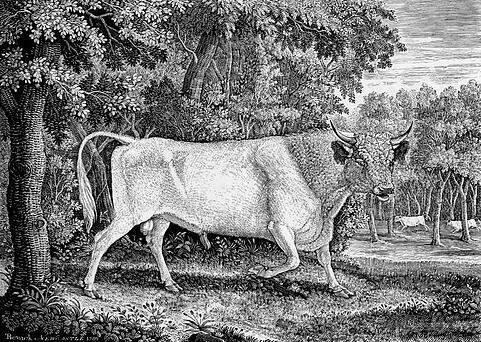 For instance, one of his most famous engravings, The Chillingham Bull, was done for Marmaduke Tunstall. Today, The Chillingham Bull remains so iconic that it was set into the pavement near Newcastle's Central Station in order to commemorate the 250th anniversary of Bewick's birth.